This mod attempts to replicate that feature in a useful way, but ensure it actually has use in the Minecraft world. 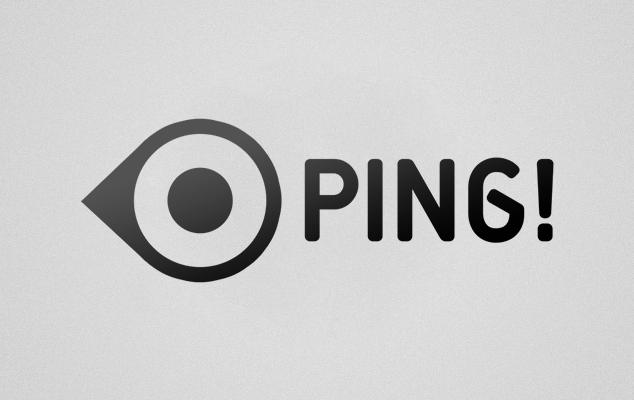 Using Ping is incredibly simple. Both the server and client must have it installed (though clients without it will still be able to play, they just won't receive Pings). To send a Ping, simply hold down the F (V as of 1.9) key, and select a ping type by either mousing over it and releasing F (V as of 1.9), or by clicking on it. A Ping will then be sent to everyone in the current dimension who has 1) Chosen to receive Pings, and 2) Is in range of your Ping. (range can be modified in the config file). If a Ping is offscreen, a small icon will render on the side of your screen, pointing to it. Feel free to use Ping in any kind of modpack, as long as you link back to this page and don’t make any money of the modpack. Very nice mod. Only one question. How to increase distance of points? There is a config option for it. It's called "pingDistance" or something along those lines. I think the default is 64. I changed some .java files, but the maximum range i could reach is 190. Why? does this mod require the server to be running some kind of rift server jar or forge server jar or can this go straight into the plugins folder? It's a Forge mod, so you need Forge and Ping on the server side. Very handy and helpful little mod if you want to teach a friend about some mod or want him to show something. Thank you very much! It's because FML is registering that the world you are trying to load up used to have a Sound registered that is no longer there. I don't get it, what this could possiblybe useful for? Useful in a multiplayer situation, for making friends aware of danger nearby, a ore that needs to be mined etc. Also, if you're on skype or discord trying to teach a friend about a new mod, it helps show people what block you're talking about. I can't tell you how many times I've tried to teach friends about Tinker's Construct and been frustrated I couldn't ping a block. "Now, click on the part builder. That's this one over here. No, that's... you're in front of the stencil table. the part builder is over here. No, that's the tool station. Look, it's the one I'm jumping on. Over here. I'm behind you, turn around. No, that's... Augh!" I've been in a very similar situation before and it's maddening at times. But, damn, the way you described the situation made me laugh. To quote GLaDOS: "It would be funny, if it weren't so sad." Why do I know the name GLaDOS from Team Fortress 2? Great mod that I used in a lot of situations back in 1.8, and I rediscovered it recently due to a little pack with my friends in 1.11. Is it possible to add a hotkey for each of the 4 pings? They could be empty by default, but whoever wants to bind them for instant access could to it. This becomes useful for faster communication, especially when you are also talking in real time with a VoIP service. i play virtually exclusively in single player. if i'm understanding correctly, this is used to send information to other players. is there a feature or function of this mod that would be useful in single player?